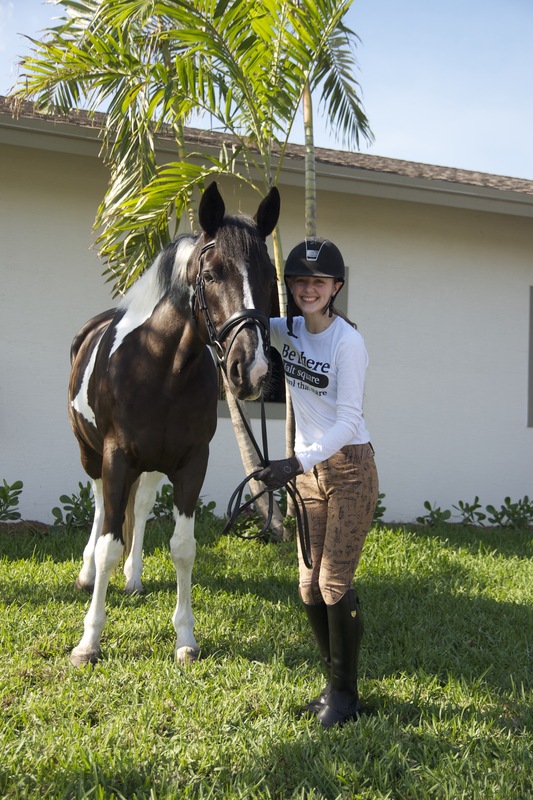 This month for The Equestrian Stylebook, I was in Wellington, Florida. So, of course, I had to collaborate with one of my favorite people and fellow TPE writer, Lauren Knopp. Finding the perfect riding outfit is one of the hardest things in the world. With so many different brands and styles to choose from, there are so many great options. And, as much as I would like to be, none of us are made of money, so pricing is something that most of us have to be very cautious of. I have compiled a stylebook with 6, yes 6, great outfits that every equestrian can rock! This outfit was probably the favorite of all of the outfits this month. Everyone at the farm was just crazy about it! I am not one that really goes for experimental patterns on clothing so this was something new for me, but boy was it a success! It features a clean-cut white shirt and breeches with boat blueprints on them. Delilah is sporting her Passier Snaffle Bridle! Delilah needs no controlling, she is a perfect little filly! Would it really be The Equestrian Stylebook if I didn’t feature at least one solid navy item? I didn’t think so. Lauren models here with her main man De Greggory in the gorgeous pairing of merlot and navy. De Greggory is sporting his amazing Custom Saddlery Advantage Monoflap Saddle, E.C Equestrian Saddle Pad custom made in The Preppy Equestrian colors, and a Primera Milano Snaffle Bridle in black & white from 20×60 Equestrian. Love these two, so photogenic! Pink whales and blue stripes, these breeches couldn’t get any better. They may seem a bit kid-like and not professional but everyone needs a pair of those in their breech collection. The pink polo brings the outfit back a step in the adulting direction. With the return of those gorgeous merlot breeches, Lauren paired them with a gray and white contrasting shirt. It is a timeless look that works for stable to street gorgeousness. Samoa 52 is sporting his amazing Custom Saddlery Advantage Monoflap Saddle, Ecogold Non-Slip Saddle Pad, and a Primera Milano Snaffle Bridle in black & white from 20×60 Equestrian. Standing ringside on a busy show day, just watching other riders in their tests and rounds is one of the best ways to spend a day. The breathableness and comfort that this ensemble creates in unparalleled. With breeches that fit like a second skin, a shirt that allows airflow to keep you cool, and a helmet that is as pretty as a crown and as comfortable as your favorite PJ’s, you will never what to take this outfit off. Anyone who knows Lauren knows she couldn’t live without coffee. So, with her show attire, she definitely had to include her caramel iced latte. Show days can lead to early mornings and late nights, so who wouldn’t need a little, sweet pick me up ringside. I really had a great time working with Lauren on this and doing the photoshoot at her family farm, IDA Farms. 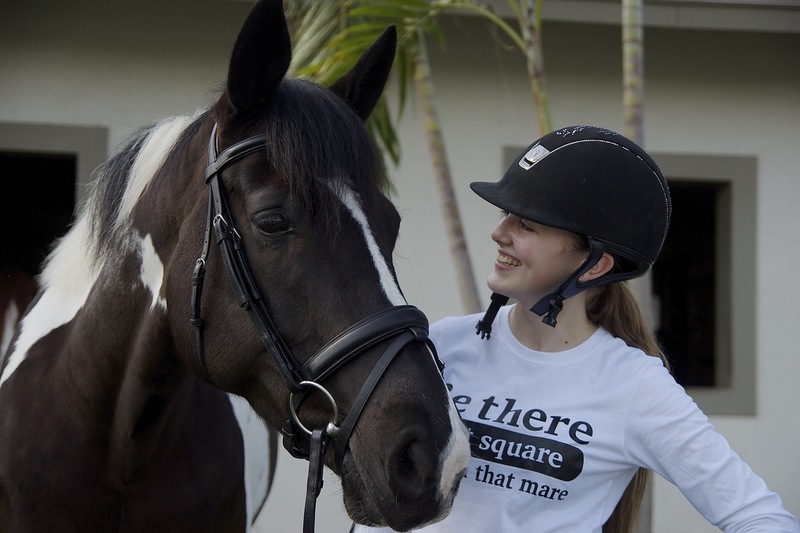 She is super nice and if you are ever in Wellington and are looking for a dressage lesson, shoot her a message and follow her on Instagram @laurenknoppdressage! I hope that this stylebook helps my fellow preps with your styling. More to come with next months Equestrian Stylebook! I’m 100% convinced navy is the best neutral around. I love how you paired it with merlot, great combination!